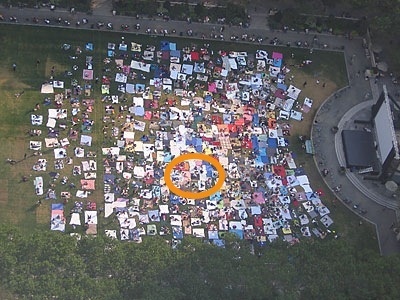 Every summer, for the past 17, Bryant Park in New York City has been hosting the HBO Bryant Park Summer Film Festival. Great movies in a drive in atmosphere. The movies start at sunset (close to 9pm) and the crowds gather many hours earlier. Picnicing & fun to be had by all.